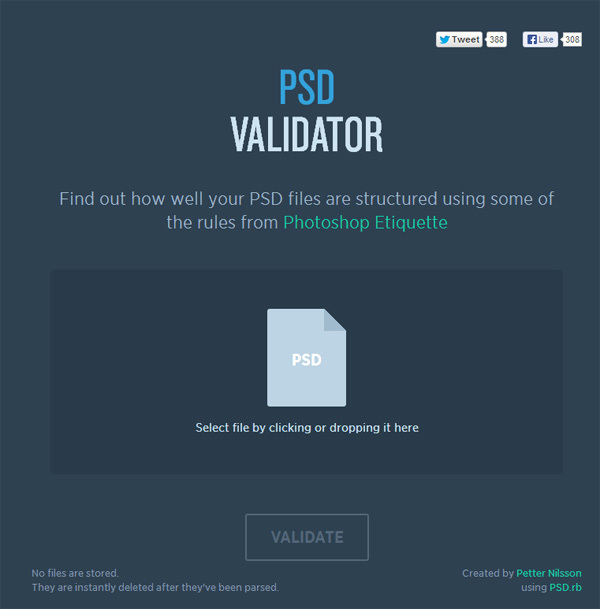 Just upload your PSD on the site and then it will show you the errors and warnings it discovers in your file. 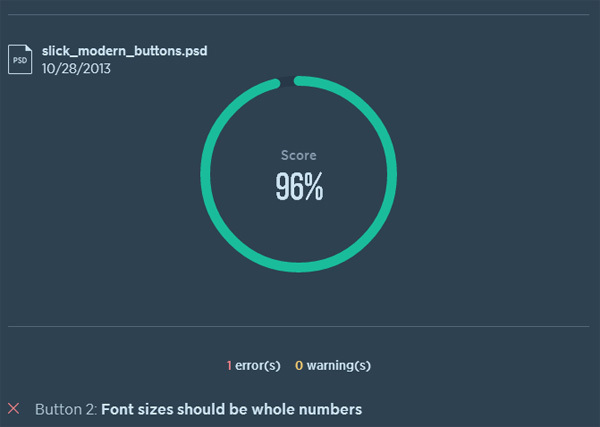 It will also give your PSD a score between 0-100%. The tips and warnings are based on best practices found in Photoshop Etiquette, a guide outlining best practices for web designers using Photoshop. Errors and warnings may include things like "use whole numbers for font sizes" and "low ratio of groups detected." The error it found was font sizes weren’t using whole numbers. According to Photoshop Etiquette: "It rarely makes sense to use fractions and decimals in Photoshop." I didn’t even know that was an issue. Now I do. It’s a logical reason, especially when we’re using whole-number units like px or pt. 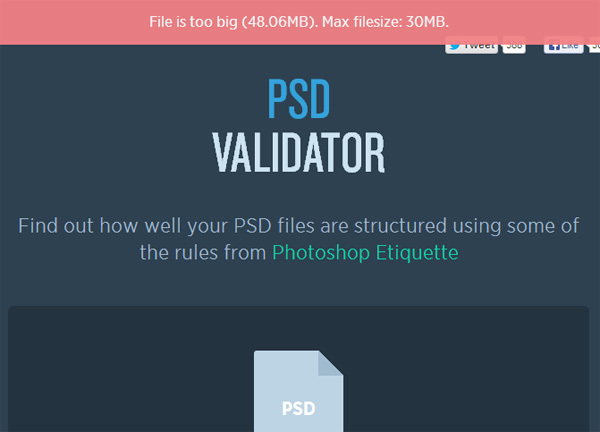 If you’re worried about privacy, you should know the site doesn’t keep your PSD files — it deletes your PSD right after it’s done analyzing it. 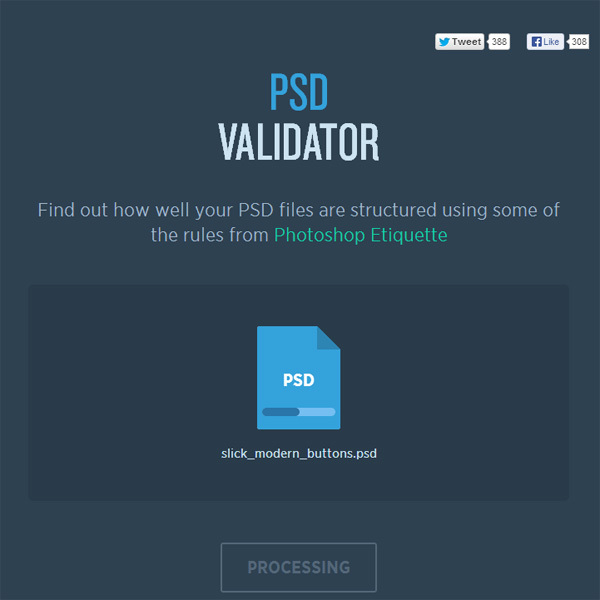 PSD Validator was created by Swedish digital art director, Petter Nilsson.